This series of books is being written through Jason from God-The Source using the process of channeled writing. It is recommended for you to purchase them together and read them in the order listed on this page to support your greatest clarity and evolution. 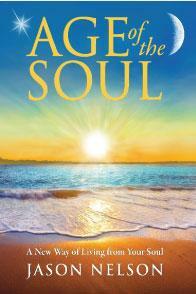 Age of the Soul is an overview of where humanity is and where we are going. It shows us how to get reacquainted with our spiritual nature by opening intuition, communicating with spiritual guidance, healing and manifesting our soul's fullest potential. Topics include the vision for this University, soul-based living and soul-based healing. Empower Our Children fully expands on topics from the Age of the Soul, as well as exploring new approaches for adults to heal their own inner child and become the best role model for empowering children and the world. Jason says, "I sit down with my laptop, my fingers on the keys, and I begin to get an impression of the first few words to write. I start typing and the words flow through me, as I type as fast as I can. This process is known as Channeled Writing or Automatic Writing. The spiritual being that communicates the books through me is a Source being. We use the word God in the book for this Source being, whose writing style combines a direct, strong voice with a loving, unconditionally accepting energy. Many readers appreciate this succinct instruction to soul-based living." The Reading Experience . 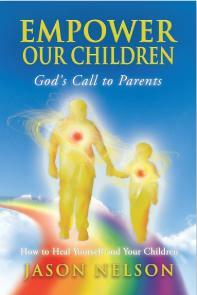 . .
As you read these books, the experience is God-The Source speaking directly to you. You receive your own relationship and dialogue with the Creator to nurture during and after reading the books. "An engagement is happening that you, as a soul, agreed to at this time. This agreement is your participation in the evolution of Earth's consciousness. The perspective of Earth has been unclear or colored for so long that you doubt the ability of God to live amongst you. I have always been with you, and in this Age of the Soul, you will experience my presence more than ever. The Age of the Soul simply means that every individual at this time in history has a unique opportunity to understand, connect and live from their soul. Living from the soul means that you will be living from clear love, the expression of your soul; whereas, the personality has experienced unclear love. When the personality and soul align, you will have an experience beyond your imagination. It is called the Initiation of the Soul. 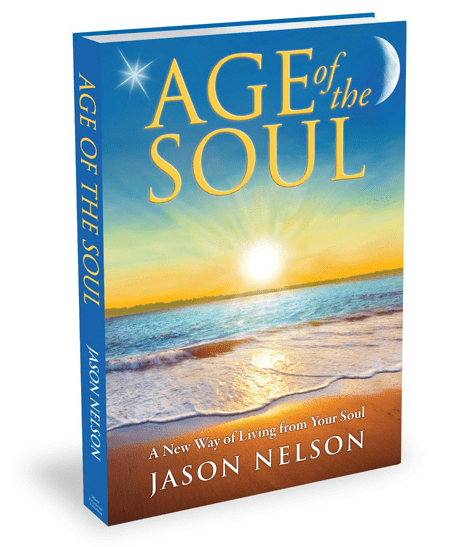 In only two weeks, Age of the Soul was given to Jason using channeled writing from God-The Source. The second edition is the only recommended version for people to use, published in 2013, as it contains updated content, a new cover design and is reformatted for an easier reading experience. Heal Your Inner Child. Help Empower Children. "By loving ourselves and empowering today's children, we can achieve world peace. The fate of the world lies in the hands of today's children, who will be the leaders and parents of tomorrow. The youth exemplify qualities adults have lost like innocence, vulnerability and unconditional acceptance. They offer innate, simplified wisdom for new ways to live as a unified world. Make your first priority to empower children. As a result, you will create harmony within yourself and the world may experience peace in one generation. I will be your guide and this book will be your instruction manual for how to do it. I can guarantee you by the end of this book your awareness of others and yourself will increase. This book is an energetic means of transforming your life. It is more than a book. By participating with it you are becoming more loving, accepting and aware. If you make empowering children your first priority, it will lift up your life in the process! 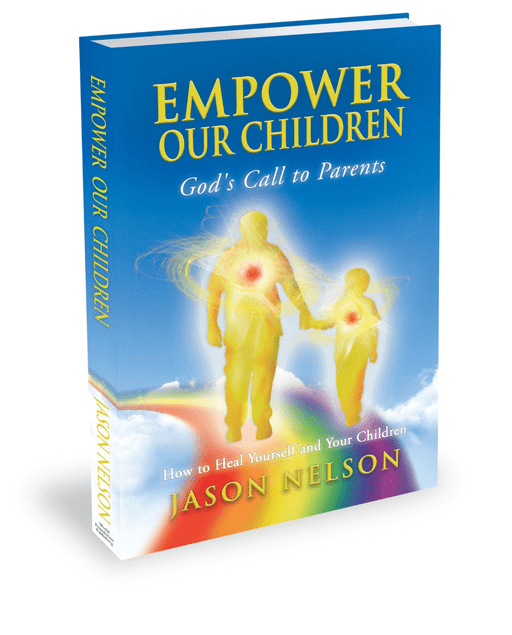 This book was given to Jason Nelson using Channeled Writing from God-The Source and released in 2012. Below are online stores where you can purchase NEW THREE® books in paperback, hardcover and kindle versions, currently offered in English. These divinely communicated books are manuals for NEW THREE® University and the Certification trainings. Students that participate in trainings will need to order the books for use in the workshop experience. Paperbacks are highly recommended for use in the trainings. If you do not find a purchase link for your part of the world, please use a search engine to find a local online retailer who carries the books. All books have worldwide distribution, though when purchasing from local bookstores, you will need to ask them if they can order it from their distributor.